Williams Partners LP is seeking federal approval for an $182 million expansion of its Transco Pipeline to New York City, the Tulsa-based natural gas infrastructure company announced Monday. The Rockaway Delivery Lateral Project would move about 647,000 dekatherms of natural gas per day to National Grid’s distribution system in the Brooklyn and Queens boroughs of the city, according to reports. 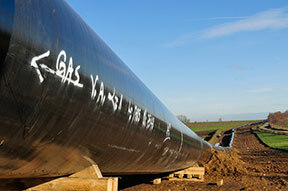 Construction on the pipeline expansion, once approved by the Federal Energy Regulatory Commission, would begin late this year with service expected by the second half of 2014. “The project would create an additional delivery point from the existing Transco system into National Grid’s distribution network, enhancing service reliability and serving growth in the region,” Frank Ferazzi, general manager of the Transco system, said in a statement. The 26-inch diameter Rockaway delivery project would include 2.9 miles of offshore and 0.3 miles of onshore pipeline. Williams would utilize subsurface directional drilling in the sea-to-shore portion of the pipeline to avoid impacts to beaches and near-shore areas. Last month, Williams Partners announced it would seek federal approval for a Transco natural gas pipeline expansion in Virginia and North Carolina. 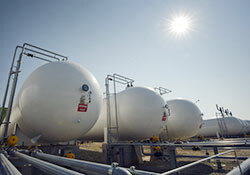 The $298 million Virginia Southside Expansion, scheduled for service by 2015, would move 270,000 dekatherms of natural gas to the nearby markets. The Transco Pipeline is a 10,500-mile interstate system bringing natural gas from the Gulf Coast to the Northeast. The system moves about 9.7 million dekatherms per day, with a dekatherm being equivalent to one million British thermal units of energy.